As long as you have one of your layers selected inside your comp, you can click on the Effects & Presets Panel on the right hand side of your program window. 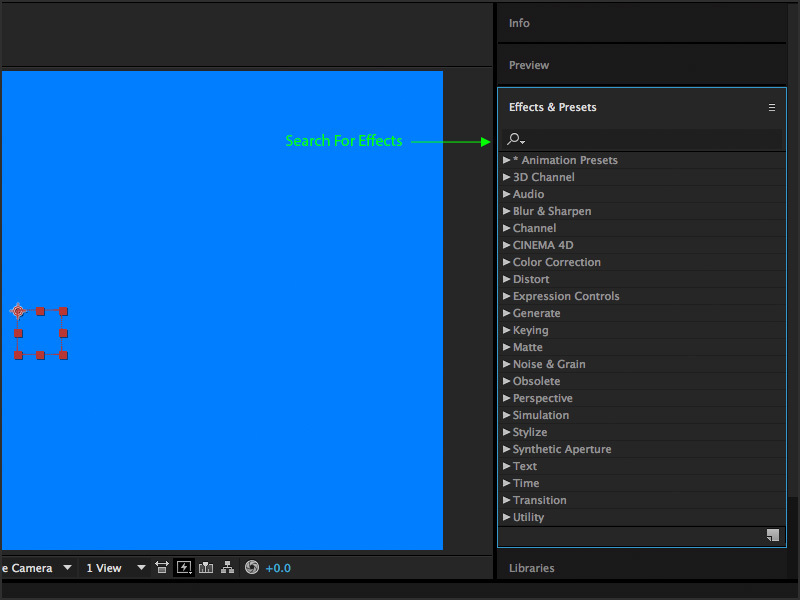 You can also use the search box to find a specific effect or preset you may be looking for. Once you find the effect or preset you wish to use, you can double click on it, or drag it out onto the layer you wish to affect. This will automatically create the Effects Control Panel which will allow you to adjust your newly added effect or preset. You can also apply effects by clicking on the top program Effects menu and selecting your effects from the list. Another way is by right-clicking on your layer and choosing Effects. 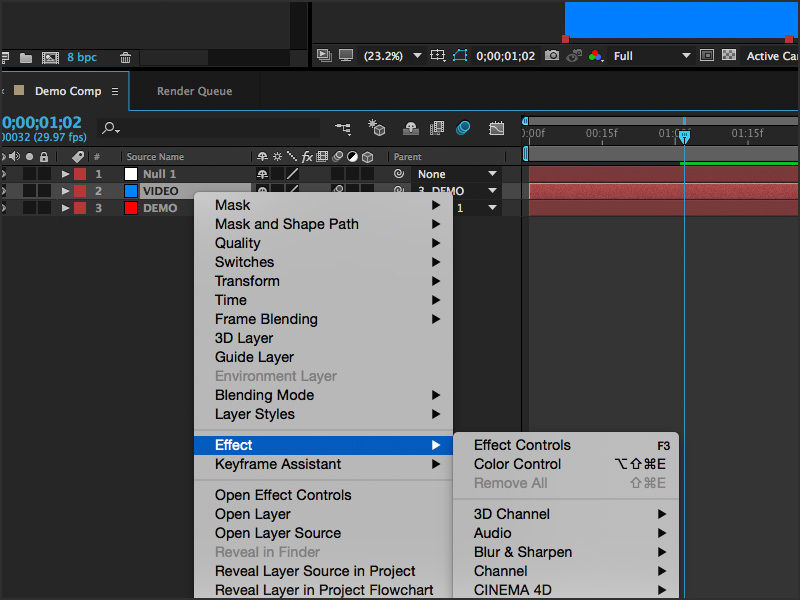 After you apply an effect to your layer, the Effects Control Panel will automatically open in the project window panel. Just for fun, let’s add Effect > Generate > Lens Flare. In this panel you will notice the effect you just applied as well as all of the effects you place later. You can drag and rearrange effects based on which you want to occur first or last in the sequence. 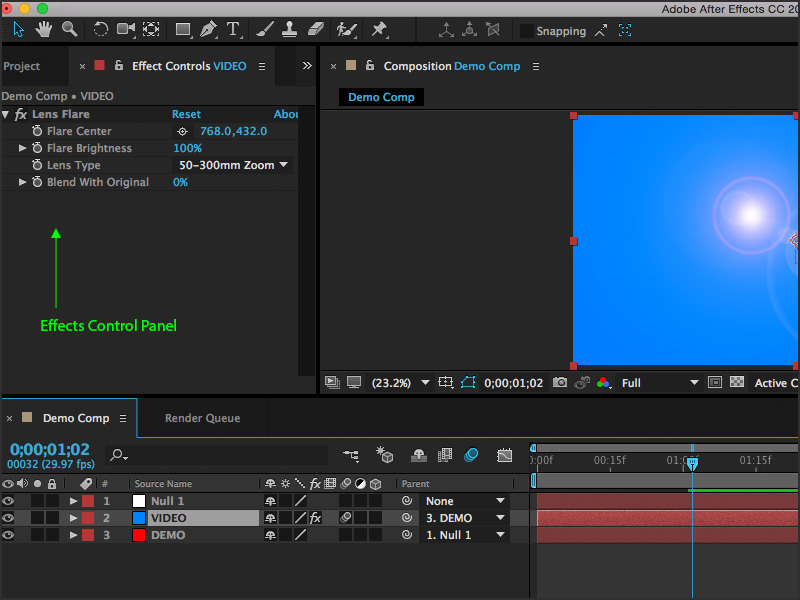 Every effect comes with editable values that you can adjust and animate similar to the basic transform controls. You can also copy effects from one to layer to another. 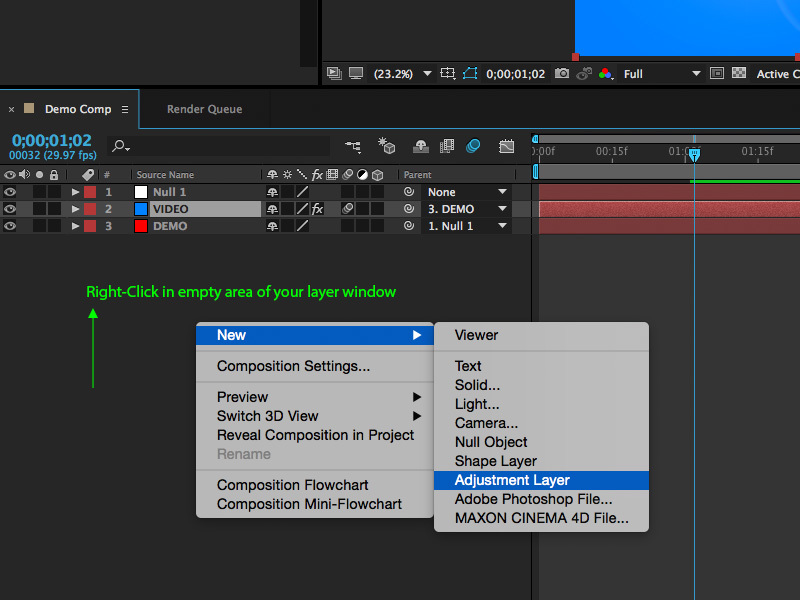 You can create an adjustment layer by selecting from the top menu Layer > New > Adjustment Layer. Adjustment layers are invisible and allow you to place multiple effects on a single layer so that all of the layers beneath it will be affected by that single adjustment layer–this technique is used for creating custom control panels.